With the world looking to China for assurance that it can manage its slowing economy and tumultuous stock market, President Xi Jinping has begun pushing a remedy that sounds less like Marx and Mao than Reagan and Thatcher. Mr. Xi is calling his next big economic initiative “supply-side structural reform,” a deliberate echo of the nostrums of tax cuts and deregulation advocated by those conservative Western leaders in the 1980s. The new slogan, expected to receive top billing when China’s legislature convenes Saturday, represents an effort to rejuvenate Mr. Xi’s faltering plans to overhaul the Chinese economy. But he still faces widespread skepticism that he is committed to thorough restructuring, which would require reducing bloated state enterprises, along with millions of jobs. The supply side Mr. Xi is referring to would, like Reaganomics, include lowering taxes and reducing the government burden on investors. 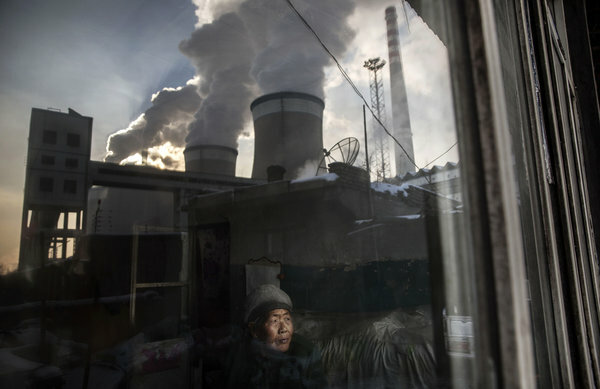 Yet its main goal appears to be shutting or paring down mines and factories that produce far more coal, steel, cement and other industrial products than the market demands and reining in the credit and subsidies that feed that glut. Some economists say the supply-side rubric is at least a step toward painful measures that could lead to healthier growth. 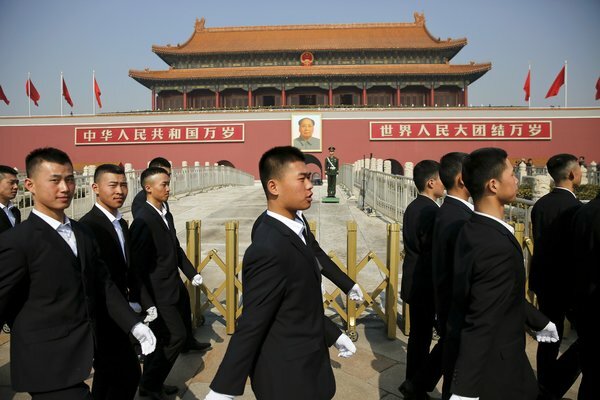 Mr. Xi has reorganized China’s military and orchestrated a scorching campaign against corruption. But breakthroughs in the economy have eluded him, which many economists say have sapped business confidence. Skeptics attribute the problem partly to the repeated clash of Mr. Xi’s economic goals with his political objectives. While he has shown great enterprise in centralizing power, they say, he has been reluctant to restrain the reach of the state, especially to curtail state companies’ privileged, often monopolistic, access to loans, resources and customers. Several economists said Mr. Xi’s supply-side initiative may turn out to be cosmetic — promising market liberalization yet magnifying state control. Many liberal economists remain unconvinced that for all the tough talk, the Chinese government would willingly reduce its own power and risk a backlash from displaced workers. Recalibrating state-supported industries to true market levels would mean cutting millions of jobs. Mr. Xi first laid out a sweeping blueprint for economic rejuvenation, including vows to revamp the state sector and nurture market forces, in 2013. But the halting progress reflected his reluctance to cede state control, several economists said. The mixed signals have paralyzed state officials, who are unsure how far to impose cuts while preserving stability. How far Mr. Xi is willing to go, given the economic warning sirens, may become clearer after the Communist Party leadership presents its economic plans to the legislature, the National People’s Congress. It could also be difficult if they do. A recent study concluded that more than three million people in the steel, coal and similar industries could lose their jobs in the next two years if state cuts go through. On Monday, the government said it would lay off 1.8 million steel and coal workers, around 15 percent of the work force in those industries, though it did not say when. But if the slowing of the economy is forcing Mr. Xi to act, it has also increased the costs of doing so. During the first wave of closings of state-owned factories, starting in 1997, more than 30 million jobs were eliminated in less than a decade. But the Chinese economy boomed, especially after China joined the World Trade Organization in 2001, creating jobs that absorbed many of the excess workers. The job losses envisioned today, while smaller, may be more contentious when the economy is slowing. They threaten to erode the stability Mr. Xi prizes. Since the financial crisis of 2008, the government has spent heavily to stimulate the economy, increasing the debt. Chinese supply-siders say such splurging has reached unsustainable levels. 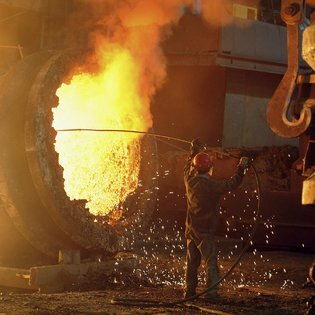 China’s steel production, for example, has “become completely untethered from real market demand” and amounts to more than double the combined production of the four next biggest producers: Japan, India, the United States and Russia, according to a newreport on China’s production overcapacityreleased by the European Union Chamber of Commerce in China. Beyond correcting such distortions, debate remains over what specific policies fall under the supply-side banner. Officials and economists have called for tax cuts for private businesses and giving private investors bigger stakes in more state-owned companies, while ruling out full privatization. But the concept is vague enough that it has also been used to argue for a greater government role to promote exports and prop up faltering state firms. Curbing inefficient state-subsidized industries, however, has near universal support among economists and policy makers. Further delays in doing that are likely only to repress growth, deepen the malaise and hurt workers, said Sheng Hong, the executive director of the Unirule Institute of Economics in Beijing, which advocates economic liberalization. And supply-side structural reform would be just another slogan.